Applying for a visa in Israel is not a very complicated process, although it could take 2 to 3 months before a foreigner can get a visa. Those who come from countries with which Israel has bilateral agreements may even stay below 90 days without one. A work visa for Israel will only be granted if a foreign national has a firm job offer from an Israeli company. The employment requirements for this country also vary depending on the length of the job. For example, those who will work for less than 30 days only need a visa while expats who are planning on working in Israel for more than a month are required to secure a visa for their initial entry and a work permit. These documents should strictly be in arranged before flying to Israel because entering this country without a visa and work permit is a criminal offence. It is important for an expat to have a secure job offer since the Israeli employer will serve as the official sponsor of the work permit. The application must have all the relevant details of the nature of the job post including information about the expat employee such as his proposed salary in Israel as well as his educational and professional background. All requests are submitted to the Ministry of Industry, Trade and Labour whereas the process takes about four to eight weeks. Once an application as been approved, a B1/Work Visa recommendation letter will be sent to the Ministry of Interior (MOI). 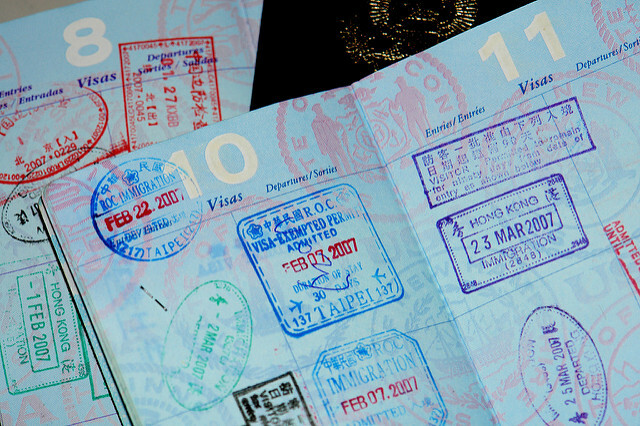 Once in Israel, a consular official will put a visa stamp, which is valid for 30 days, on the expatriate’s passport. Holders of the B1 visa can request an extension from the Ministry of Interior, but the application must be submitted within 30 days of arrival in Israel. Visa extensions are usually issued with a validity period of one year. Non-Jews cannot have a residence visa in Israel. If a foreigner would want to have a temporary visa in Israel, an application should be directly submitted to the Ministry of the Interior in Israel. This branch of the Israeli government will have the right to grant a temporary residence visa to a foreigner who plans to work in the country for at least a year. There are only two cases when a permanent resident visa may be granted to foreigners - first, when the applicant is a Jew and, second when the applicant is the spouse or parent of an Israeli immigrant or citizen. Other than these two cases, no one will be granted a resident permit no matter how long a person has stayed in Israel.